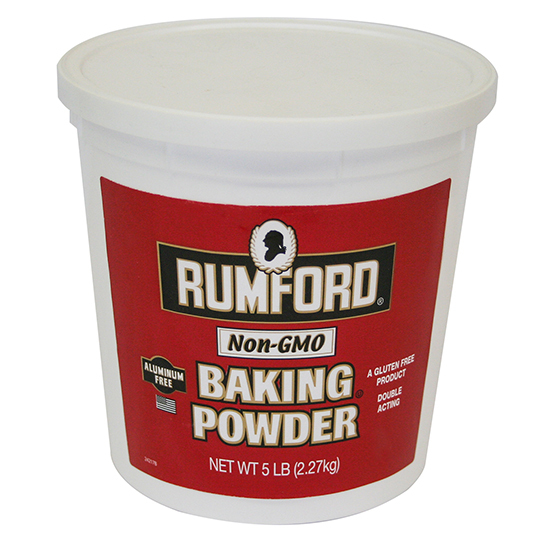 Rumford Baking Powder is double acting, aluminum free and contains non-GMO corn starch. Rumford Baking Powder has been a trusted name in baking powder for generations. This quick-acting formula ensures that your baked goods are consistent in quality and uniformity, batch after batch. Be the first to review “Rumford Baking Powder (5 lb)” Click here to cancel reply. Kitchen Specialties & Granary © 2019. All Rights Reserved.